Proven on stages worldwide, Line 6 digital wireless technology delivers industry-leading audio specs and the lowest-available latency. Relay G70 builds on that legacy to offer next-generation performance, unmatched sound quality and unprecedented flexibility for guitarists and bass players. 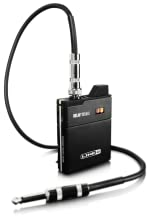 Plug right into the locking ¼” input on the transmitter—no special cables required. 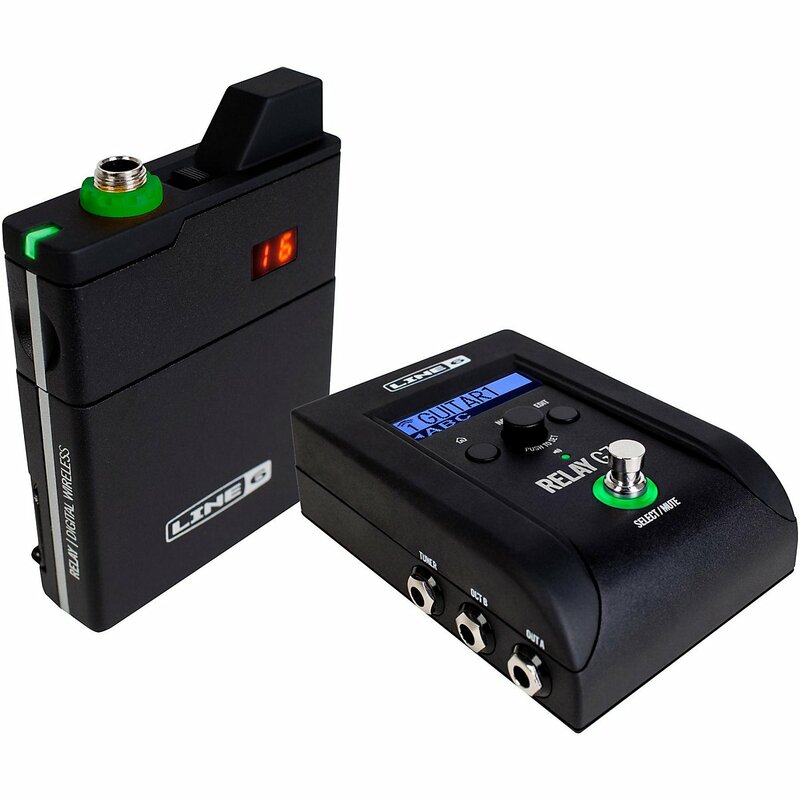 Easily add additional transmitters and instantly switch between instruments, complete with programmable presets for signal routing, levels and more. Featuring rugged metal construction and 8+ hours of battery life (with 50+ hours of standby time), Relay provides tried-and-true performance from stage to studio. For guitarists, nothing is more important than tone. We’ve been building guitar wireless longer than anyone else, and Relay is the only system that delivers your tone without compromise. Featuring wider frequency response, next-generation radio technology, and more dynamic range than other wireless systems, Relay ensures that your signal gets to your amp in its purest form. You can perform knowing that the G70 will sound just like a cable—every time you hit the stage. 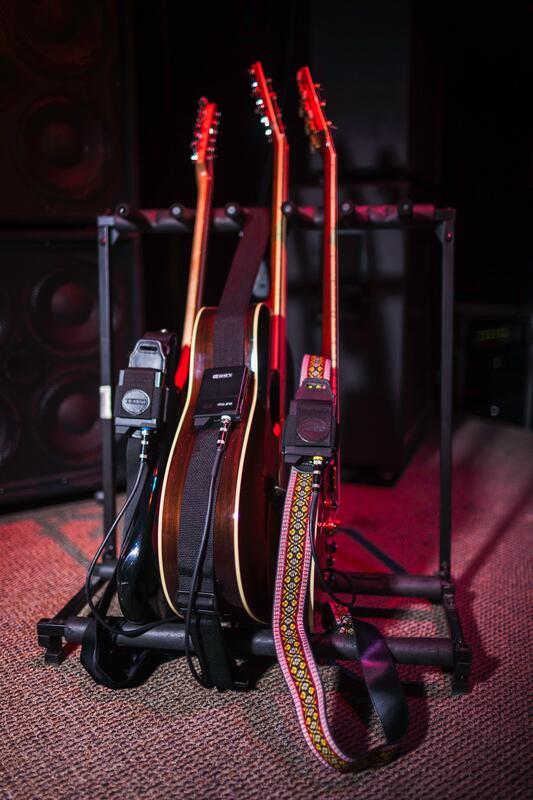 No other wireless system makes it so easy to perform with all your instruments. With support for multiple transmitters and unique preset scenes, you can control signal routing, levels and more with the single press of a footswitch. Set different levels for instruments with active, passive and acoustic pickups. Route an electric guitar to an amp, and an acoustic to the PA system—while giving both access to the built-in tuner. And if you only have a single transmitter, you can switch it from guitar to guitar and change settings instantly using the preset scenes. Relay G70 and G75 support multiple transmitters, so you can handle a variety of guitar setups and changes—without any hassle. Programmable presets make it easy to select signal routing, levels and any combination of 1/4 inch and XLR outputs for each instrument. It’s the easiest way to incorporate multiple guitars into your set. 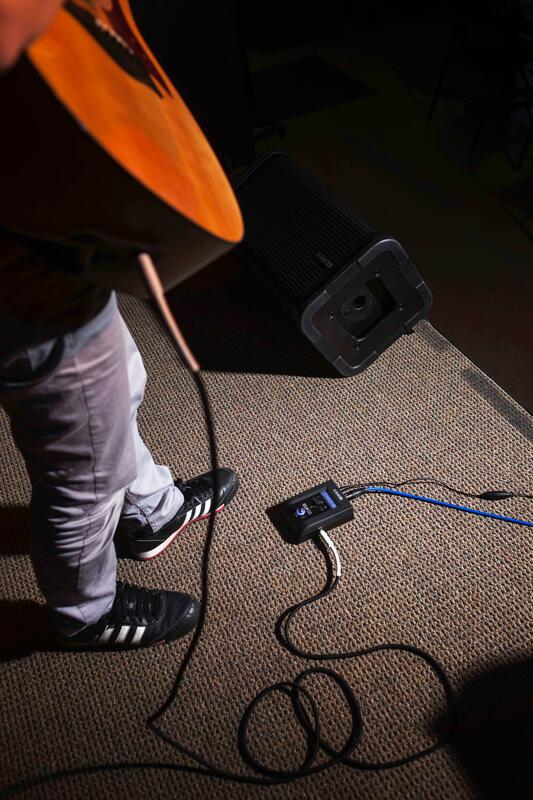 Relay G70 will change the way you think of using wireless on stage. It includes innovative features that enable you to simplify your setup and focus on your performance. 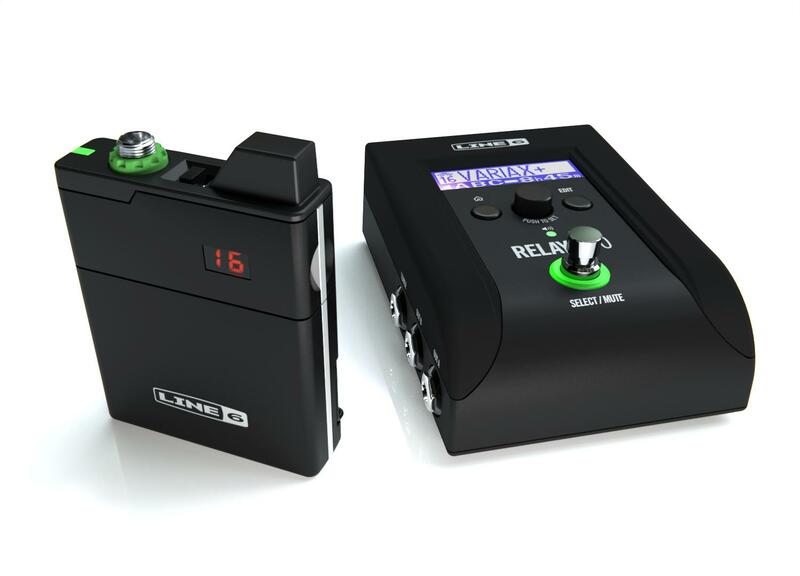 Relay G70 include a 5V power supply, but they’re also compatible with 9V power for easy integration into your setup. Plus, a built-in tuner keeps every note sounding great and eliminates the need for an additional tuner pedal. Complete with programmable scenes for routing, gain and Cable Tone. It's like having five pedals in one. 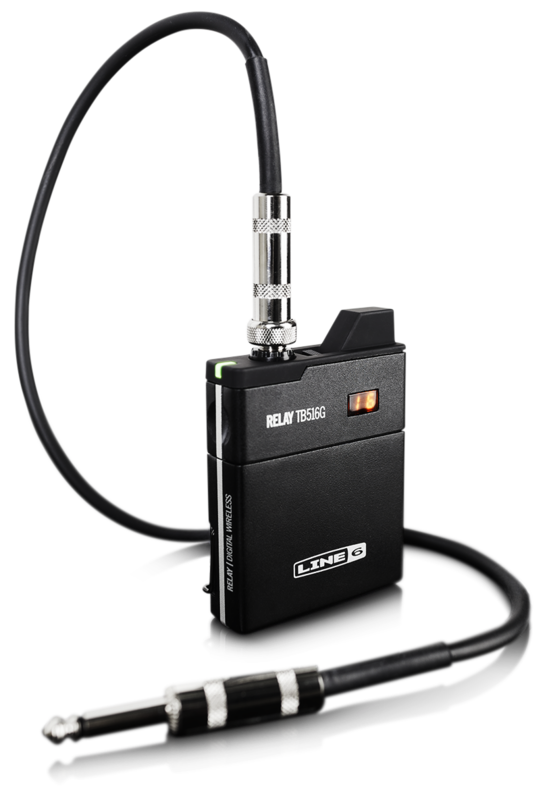 The Relay TB516 transmitter enables you to expand your Relay G70 or G75 system. You can also plug right into the locking ¼ inch input, no special cables required. 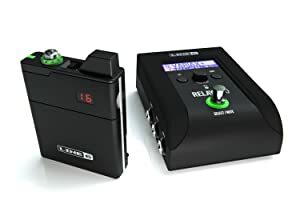 Featuring all-new rugged metal construction and 8+ hours of battery life (with up to 70 hours of standby time), Relay provides tried-and-true performance from stage to studio.